Hollyhock is the flowering plant in the family Malvaceae. It grows from rich and well-drained soil. This herb is an annual, biennial or perennial. Other common names of Hollyhock include Common Garden Hollyhock, Derives, Common Hollyhock, Garden Mallow and Garden Hollyhock. Hollyhock is an erect, herbaceous, biennial or short lived perennial plant which grows upto 1.5-2 m high. 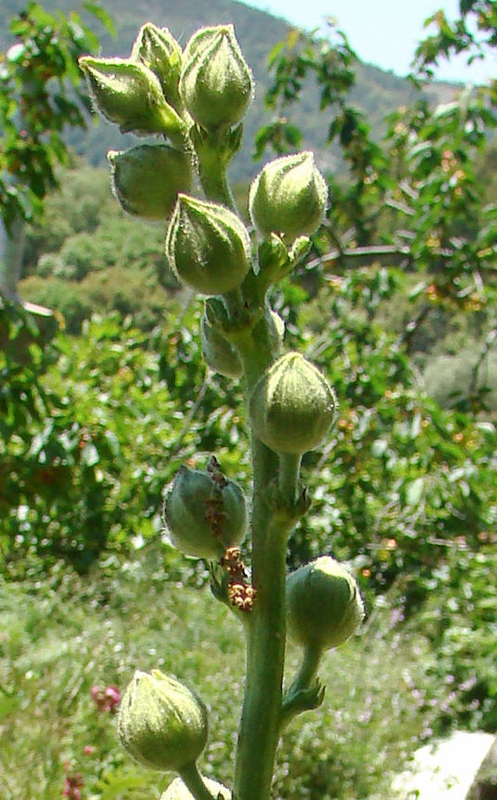 The stems are terete, pubescent and light green. Leaves are orbicular, medium green and 7-15 cm across. The plant is large, showy, pink, mauve, red, white, purple and yellow of funnel shaped and 7-12 cm across. The schizocarp fruit has 15 to 20 small, oval and flattened seeds. Hollyhock is native to Asia and Europe. Hollyhock was originated in the South-Western province of China and was grown at least fifteenth century in Europe. It is cultivated as ornamental plant and also used for medicinal purposes. Presently, hollyhock is widely distributed as well as naturalized in Northern temperate regions. It was imported from Southwestern Asia to Western Europe and before 15th century. It reached to the Europe in 16th century. 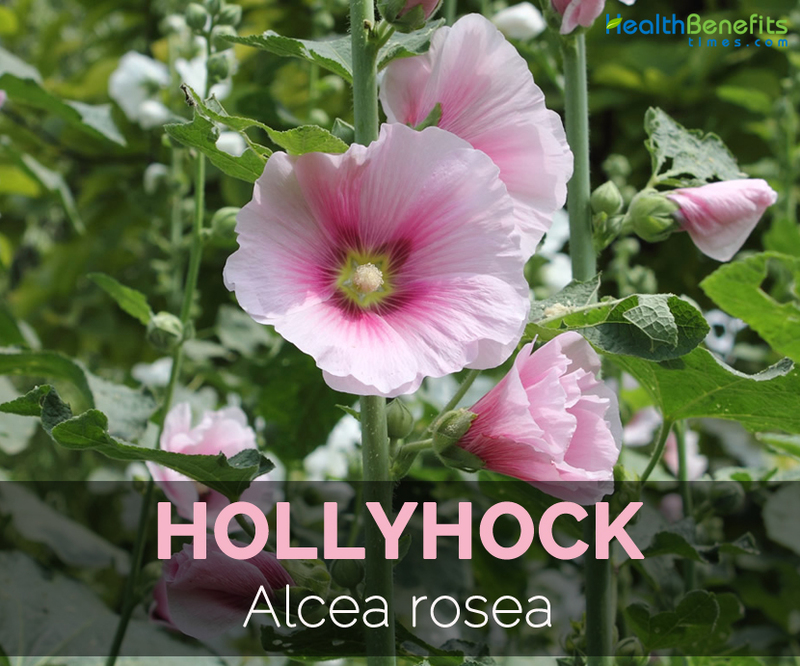 Hollyhock possesses various medicinal values and treats various health ailments. This plant helps to treat cough, cold, fever and stomach problems. 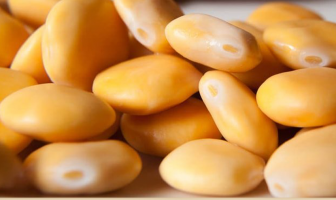 It prevents the kidney stones and relieves the chest congestion. It treats peptic ulcers, hayfever, bladder inflammation, colic, gastritis, emphysema, diarrhea and bronchitis. 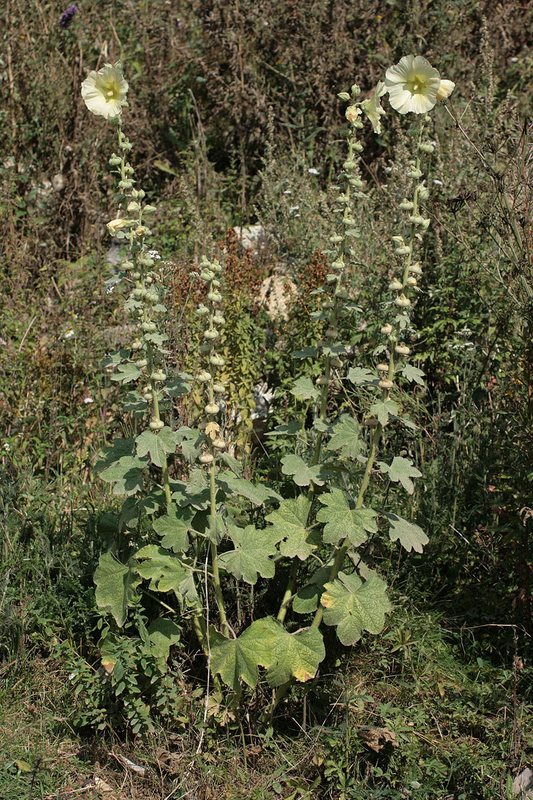 During ancient times, Hollyhock is used to cure the high fever. It possesses antipyretic properties which clears congestion from nose, treats high fever and cold symptoms. The intake of a cup of hollyhock tea provides relief from the irritation. The tea made from Hollyhock helps to treat sore throat effectively. Flowers, seeds and roots are used to make tea. Honey could be added with the herbal tea for the taste. It cures dry cough and provides relief from the throat irritation. 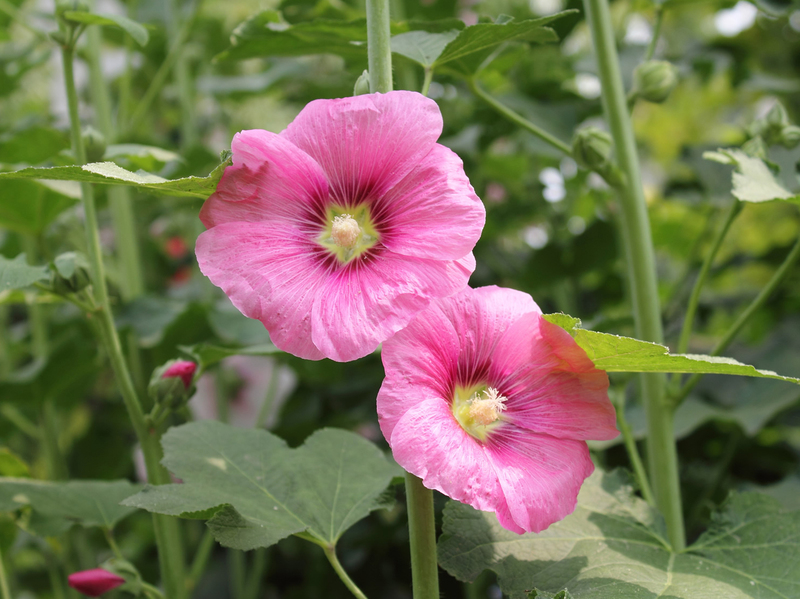 Hollyhock reduces the pain and puffiness of the injury. The boiled or soften leaves on the wounds directly. It helps to speed up the healing process. These herb possess an anti-inflammatory and soothing properties which helps to treat the gastro intestinal problems such as abdominal pain, ulcers, gastritis, irritable bowel movement and diarrhea. The intake of Hollyhock tea treats the respiratory problems and nose congestion. It clears the blocked mucus membrane and comforts the throat. The tea could be made from the root. It provides the relief faster. The root of Hollyhock promotes the appetite because it possess the starchy property. One should consume the tea to increase the appetite. The root and flowers of Hollyhock plant eases the kidney and womb irritation in the women. It effectively treats vaginal ejection. 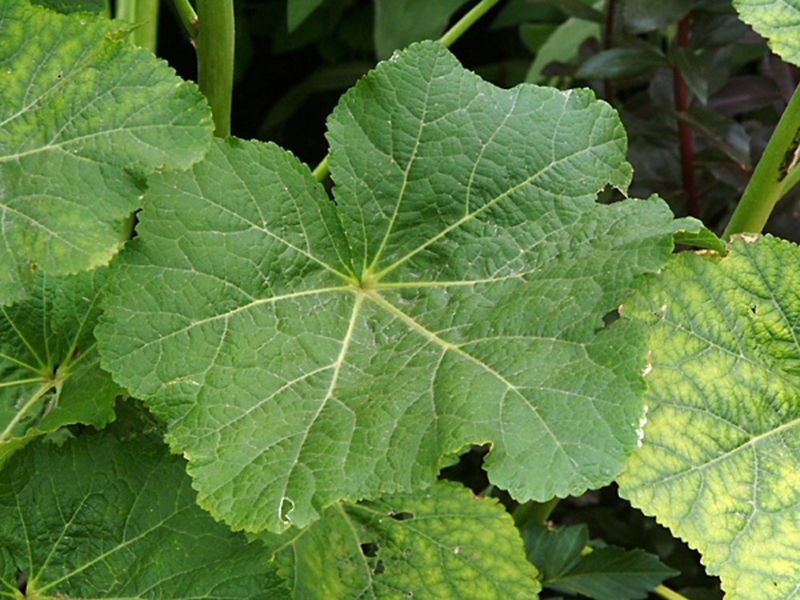 The root and leaves of Hollyhock treats the digestive problems. The research shows that this herb has ability to treat enteritis, colitis, peptic ulcers, mouth ulcers and hiatus hernias. Teething is irritating as well as painful. The mouthwash made from the root provides relief from this condition. It eliminates the irritation and pain. Hollyhock root and stems cools the burn, blister and also lowers the swelling as well as pain. It also hydrates the affected areas. The decoction made from Hollyhock flower promotes the circulation of blood. 5 ml of decoction in a day should be used for the best results. Hollyhock provides radiant and smooth hair. It serves as an effective herbal conditioner which manages the hair from the dryness. Hollyhock is a great moisturizer for the skin. This herb also treats dry skin and provides soft, radiant and soft skin. It hydrates the skin for the long hours. Hollyhock is also an excellent natural hair dye which could be made at home. The blue flowers should be added to the water and boiled which should be shimmered for about 10 minutes and filtered as the dye. 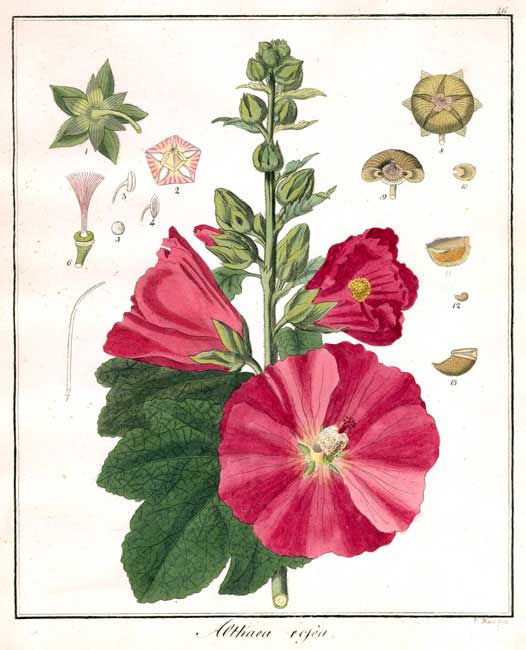 Hollyhock is used to treat inflammation. In folk medicine, it is used as astringent, diuretic, anti-inflammatory, emollient, demulcent and febrifuge. It is stops bedwetting and used as a mouthwash for the bleeding gums. The flowers are considered as diuretic, demulcent and emollient. Flowers are used to treat chest complaints. The decoction is used to promote blood circulation and treats dysmenorrhea, constipation and haemorrhage. The root are used demulcent and astringent. The roots are used as a poultice for the ulcers and dysentery. The Tibetan medicine uses roots and flowers for the inflammations of womb, kidneys, vaginal and seminal discharge. The roots also treat loss of appetite. Hollyhock helps to prevent and treat digestive tract problems and breathing disorders. Hollyhock is applied to the skin to cure ulcers as well as painful inflammation. The boiled roots and leaves ease delivery and increase the milk production. The crushed leaves treat itchiness from insect bites and relieve discomfort of burns and scalds. In middle ages, Hollyhocks tea treats bladder and lung disease. Hollyhocks break up the kidney stones and help to pass them. Tea made from flowers soothes throat and mouth inflammation. The hollyhock soothes the mucous membranes and cures respiratory and bronchial complaints. 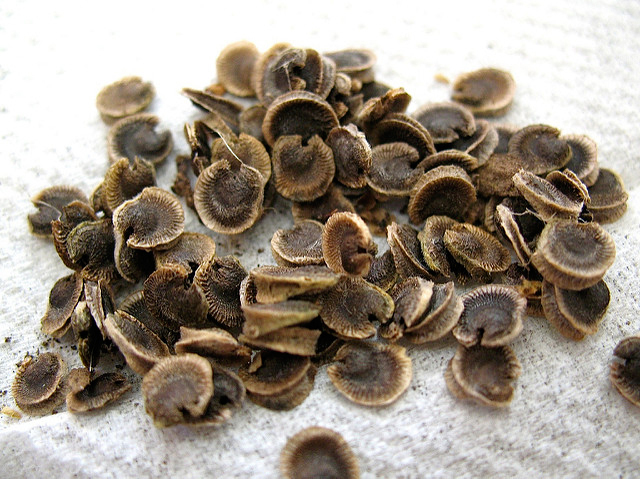 Seeds are used in a hot tisane which helps to lower the fever symptoms. The petals help to add color in the confectionary products and the fruit adds color to the non-alcoholic beverages, jellies, jams, sausages and wine. The petals and buds of flower are added to salads. The flower petal is used to make a refreshing herbal. The young leaves are eaten raw or also cooked as a potherb. Young stems are also consumed raw. This herb is added to stews and soups. Malva hortensus K.F.Schimp. & Spenn.